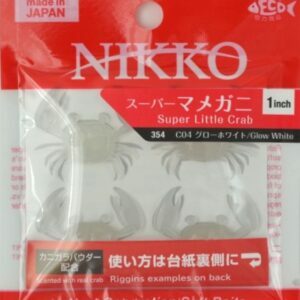 HOME > Product Release > Nikko’s Super Little Crab 1″ just released! 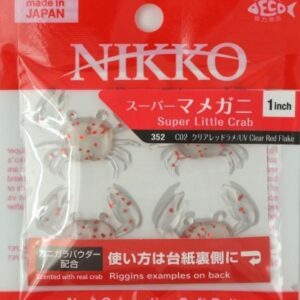 Nikko’s Super Little Crab 1″ just released! 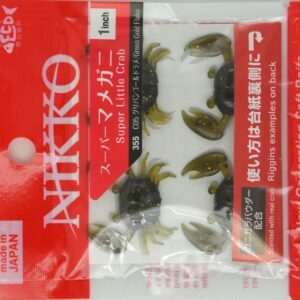 Nikko’s newest crab bait has just been released. 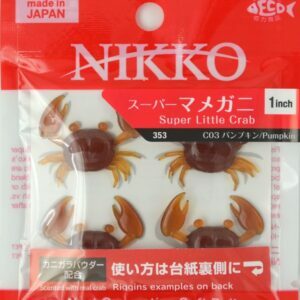 The small 1″ crab is made of Nikko’s original tough floating material and is scented with real crabs. Though only 1″, the little legs and claws will sway with the slightest of movement and float upwards in a defensive position. 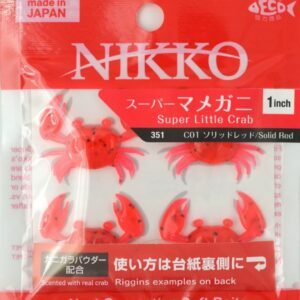 Made of Nikko’s tough material, this little guy will stand up to big time abuse from saltwater fish. Great for a variety of saltwater and even freshwater applications! 4 crabs per pack. 5 colors.